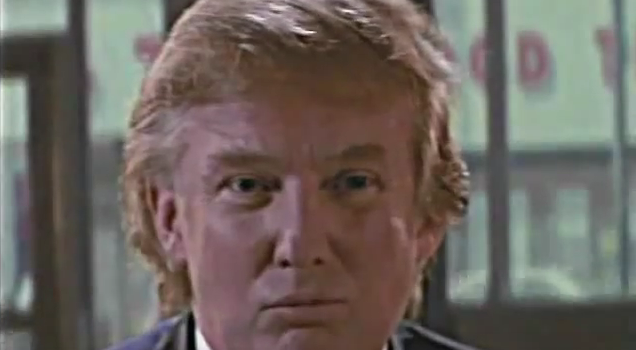 President-elect Donald Trump once appeared in a 1997 episode of a comic book TV series. As the world prepares itself for President-Elect Donald Trump, they may recall many of Trump’s appearances in other media — remember when he showed up in Home Alone? But what many might not remember is the time Trump appeared as himself (sort of) in a TV series based on a comic book from the 1990s. Before we had TV adaptations like The Flash and Arrow to enjoy, and even before Smallville or Birds of Prey, syndicated TV was where it was at for a lot of genre fare. One such series — executive produced by Knight Rider creator Glen A. Larson, no less! 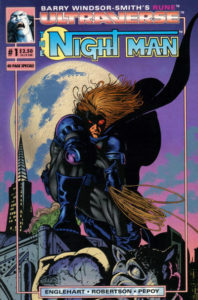 — was Night Man, based on Steve Engelhart’s creation for Malibu Comics’ Ultraverse. By the time the TV show was a thing, Marvel Comics had acquired Malibu, and the Night Man comic book had already been over for two years. In the series’ sixth episode “Face to Face” which aired in October 1997, the Night Man/Johnny Domino’s foe was an ex-con who can change his features at will, transforming himself into other people. Yep, like Zartan on G.I. Joe. In this particular case, the ex-con turned himself into the future 45th President of the United States, Mr. Donald J. Trump. No, he didn’t offer to “Make The Ultraverse Great Again,” though there are surely some comic book fans who would be into that. You can see a low-quality version of the full episode below; with the rights of the Ultraverse characters remaining in limbo, it is questionable whether or not the show will ever have a full release. The fun starts at around 16:15, though it might be worth it to also see the cheesetastic 90’s opening title sequence.